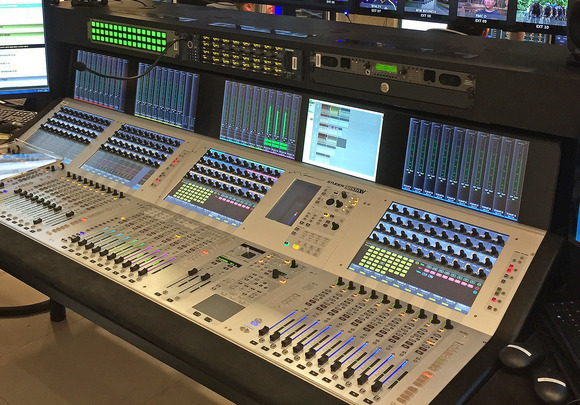 TEMPE, Arizona – Reflecting its status as the world’s most advanced compact digital audio broadcast console, two Studer Vista 5 digital mixing consoles have been installed at the Walter Cronkite School of Journalism and Mass Communication at Arizona State University in Phoenix. 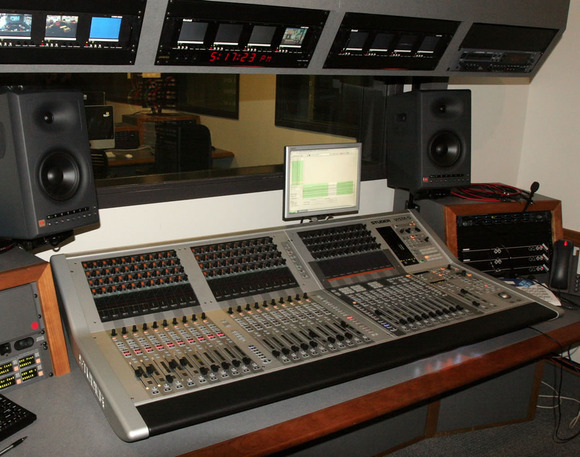 The Vista 5 consoles are used as an integral part of the School of Journalism’s emphasis on real-world experience for its journalism degree program students. Housed in a 6-story, $71 million, 223,000-square-foot academic building located in downtown Phoenix, they are at the core of the School’s advanced broadcast facilities. One Vista 5 is used train students covering the J-School’s First Amendment Forum, used for town hall-type meetings, as well as events held in the Walter Cronkite Theater and for additional training in the student training studio. The second Vista 5 mixer has been installed in the School’s state-of-the-art broadcast control room, where it is used to record, edit and broadcast the School’s daily award-winning weekday news programming. The Studer Vista 5 compact digital mixer’s small size and simple connectivity make it one of the most portable desks on the market. 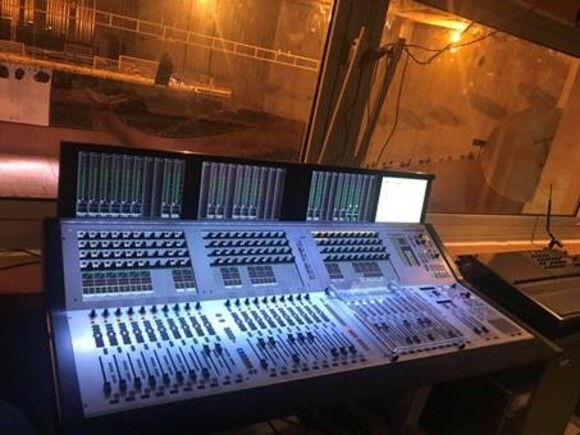 The 32-fader desk consists of 20 channel strips, optimized for input channel operation, and 12 additional versatile strips for operating output and input channels. By using the standard Vistonics screen, up to 52 outputs are under immediate control. A total of up to 240 channels can be accessed from the desk and laid out in any order, with the Vistonics™ system giving instant control over all related channel functions. The total I/O capacity, comprising various cards including Mic/Line, ADAT, TDIF, AES/EBU, SDI and MADI, may exceed 1700 inputs and outputs. At just 6U, Studer's Score DSP engine is much smaller than many DSP engines, and, by including some local I/O, demands much less space on installation than many other console systems. The Vista 5 formats include stereo, LCR, LCRS and 5.1. The internal 5.1-to-stereo downmix function allows for simultaneous live productions in both formats. The Vista 5 also includes Studer's world-famous 'Virtual Surround Panning' (VSP), using not only amplitude, but also time delay and frequency response panning as well as artificially generated early reflections for realistic placement of sound sources.